According to Google Trend, the Infinite Scrolling feature on product page is still e-commerce stores favorite although there is a decline in interest rate after it reached the top in January 2013. Moreover, Baymard Institute also brings out a study to provide a comparison of usability between Infinite Scrolling, Pagination Or “Load More” Buttons in eCommerce and finds out applying infinite scrolling with Load More buttons can significantly improve the customer experience on a website. Through all above evidence, it is obvious that every e-commerce store should be updated with the Infinite Product Scroll function to catch the world trend. 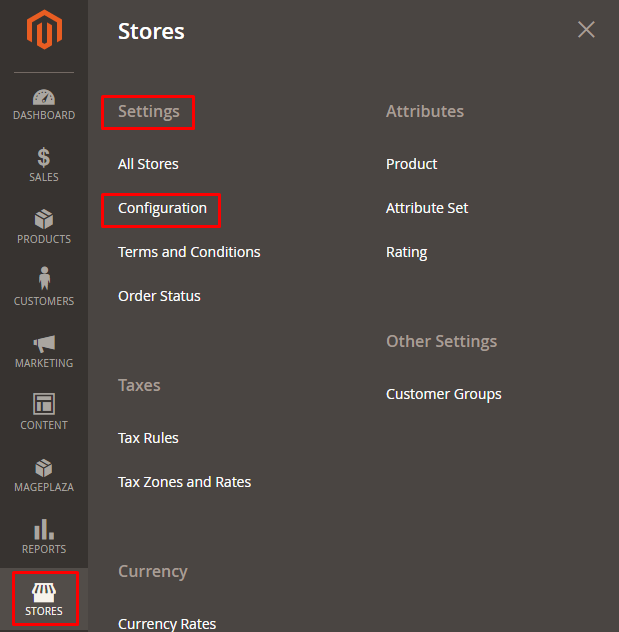 Fortunately, Mageplaza has designed the Layered Navigation extension for Magento 2 with the Infinite Product Scroll feature in all product pages so as to raise your shopper’s pleasure while suffering on your store site. Infinite Product Scroll or also called the Lazy-scrolling feature on a website is an amazing function which automatically loads new products in the list when shoppers scroll to the bottom. No more click and no more reloading, shoppers only need to scroll to view next products. Ajax loading technology is entirely convenient for e-commerce stores. Particularly, the Ajax loading helps reduce the waiting time of shoppers while navigating on a store site by instant displaying the products without reloading the whole page. As the result, it is not only your store speed to be boosted, your shoppers also have a happier shopping day at your site. The traditional pagination is complained as disturbing when it distracts shoppers by reloading and redirecting to another page. Therefore, it is undoubted that the Infinite Scrolling feature can eliminate the distraction of pagination and keep the shoppers stay with your site. The Infinite Product Scroll in Mageplaza Layered Navigation is totally easy to configure in the administration interface. Actually, even non-savvy CMS users can manage the infinite scrolling feature by following the below steps. The first step, as usual, Log in your store backend with your admin credentials. In the panel on the left, choose Store. Under the Settings section, click on Configuration. 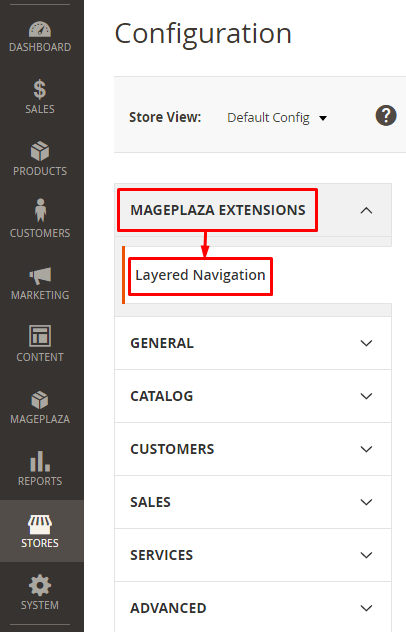 In the left menu expand the Mageplaza Extension section then select Layered Navigation. Click to expand the General Configuration section and scroll till you see the Infinite scroll field. Set the field to Yes to enable the infinite scroll feature. Click on Save Config to save your settings and Flush Cache if needed.